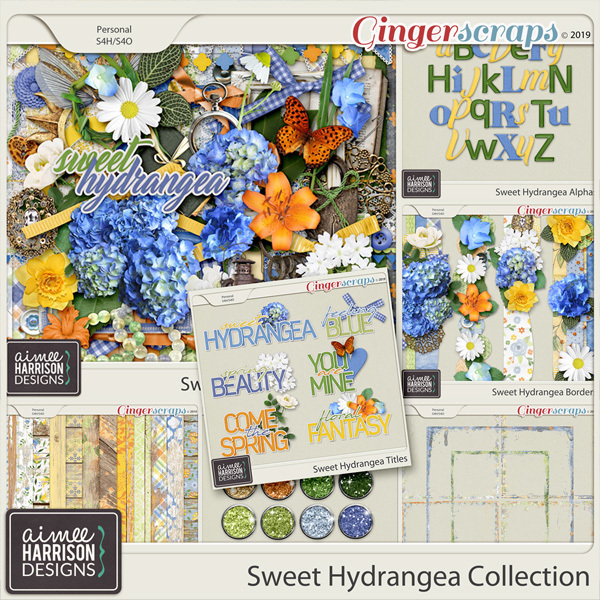 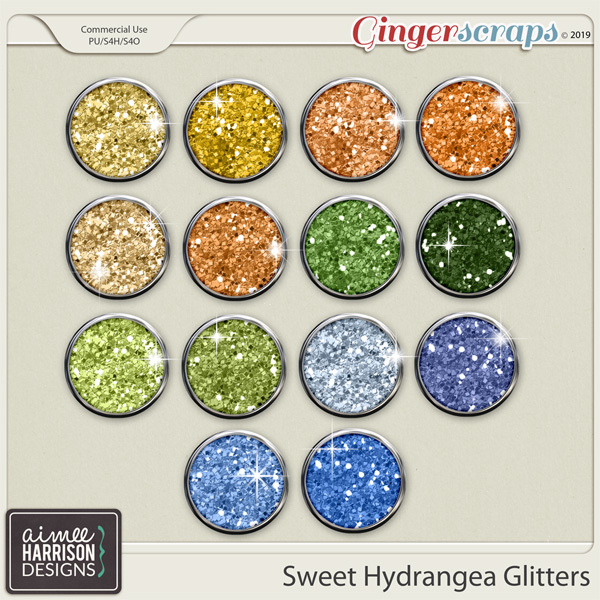 Sweet Hydrangea is on Sale through 4/5! 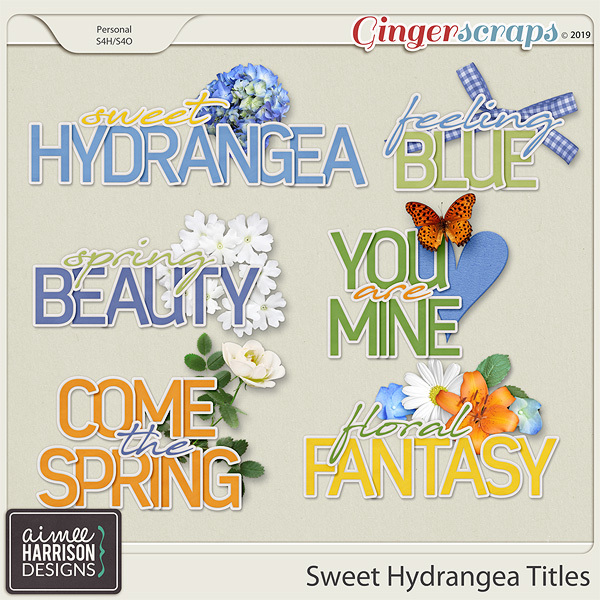 Signs that it’s warming up! 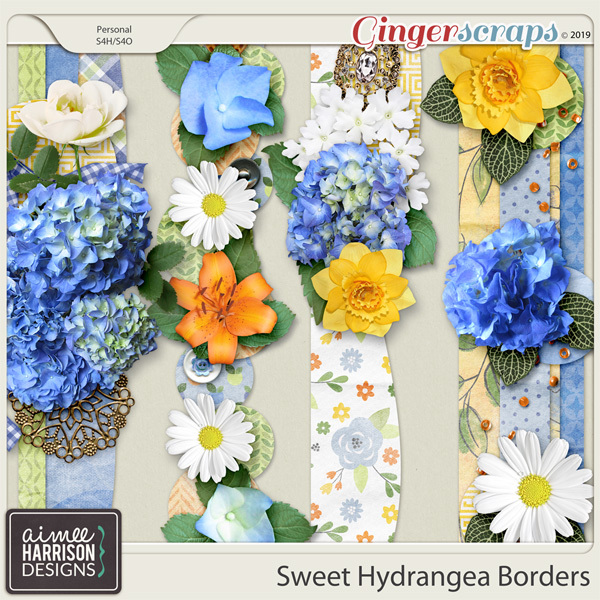 Sweet Hydrangea has the beautiful colors of Spring and Summer in shades of gold, green and periwinkle. 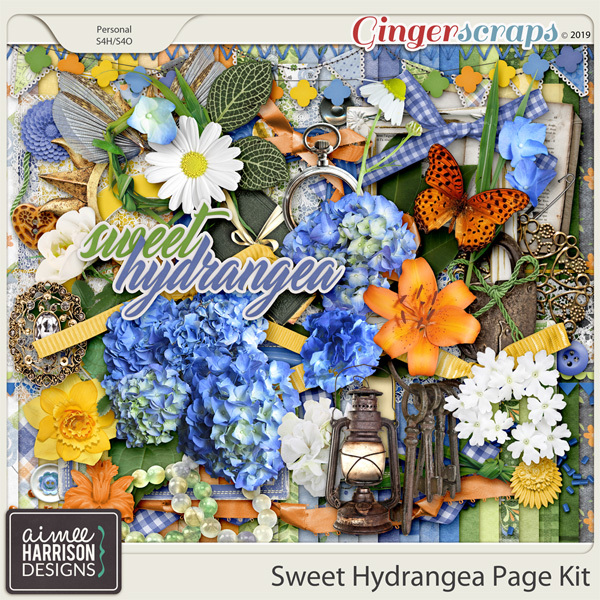 Here is a little Quick Page for you all! 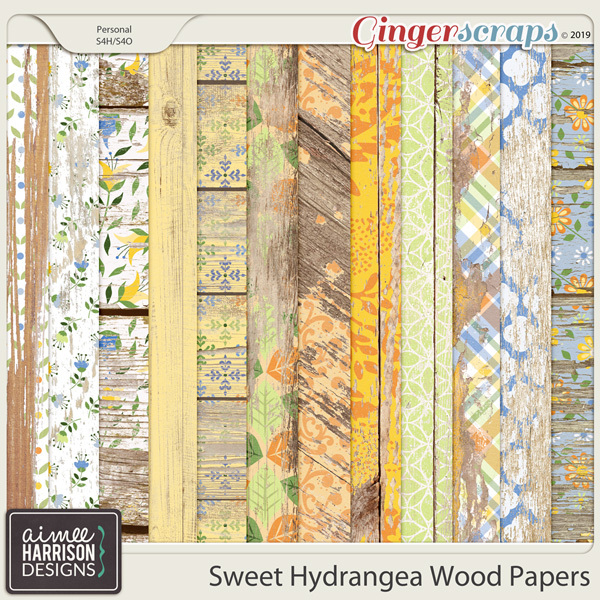 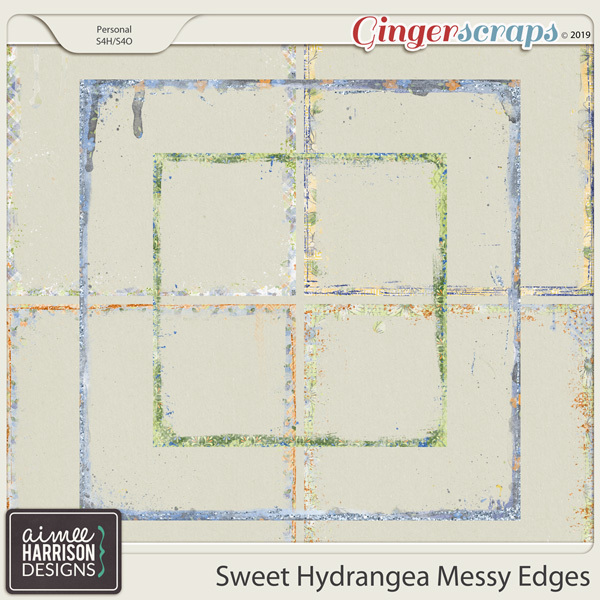 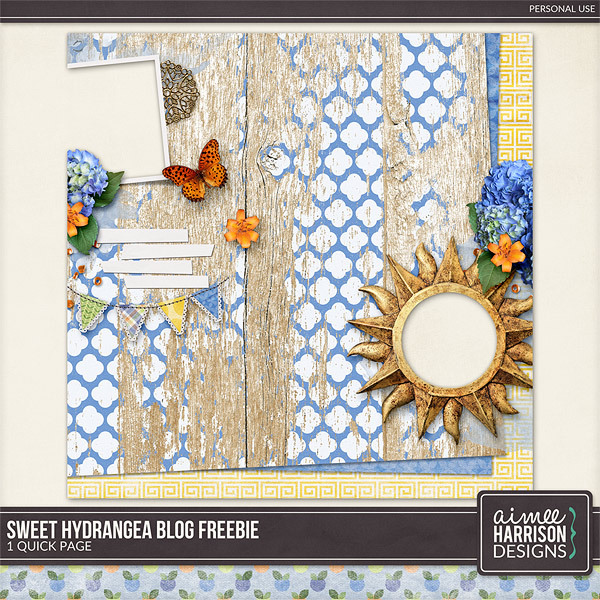 « New Freebie from Kathy’s Scraps!